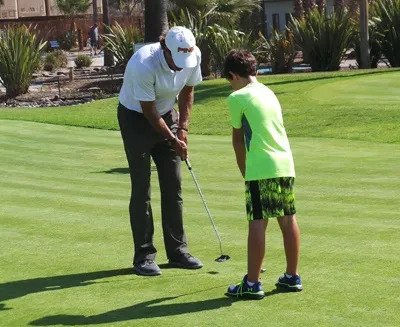 The Del Mar Golf Center SMASH Junior Golf camps will help golfers of all levels improve their shot-making skills and athletic abilities. 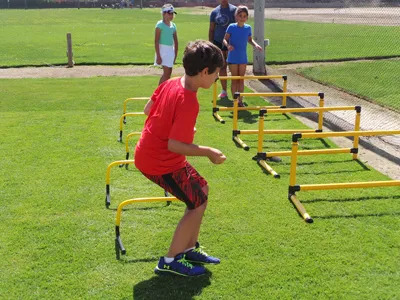 We will use advanced training and exercise techniques that enhance proficiency, increase physical capacity and lowers scores. We will do it all while maintaining our philosophy of a fun-filled atmosphere that nurtures a love for the game. On-course lesson, combining all that is learned during camp. This camp will increase your child’s total golf experience in a fun and engaging atmosphere. SMASH Enrollment is priced at $350. Equipment and healthy snacks are provided; however, feel free to bring personal clubs. Please have your athlete wear athletic clothing and comfortable shoes to the camp. Golf attire should be worn on the course. Contact Matt Clay or call (858) 481-0363 for additional information.